F*CK CANCER - PINK PARTY! WE ALL KNOW SOMEONE THAT HAS BEEN OR WILL BE AFFECTED BY THIS! LET'S SAY F*CK IT TO CANCER! PUT ON YOUR FAVORITE PINK OUTFIT (you know you have one!) AND COME OUT AND PARTY TO HELP SUPPORT THE CAUSE! 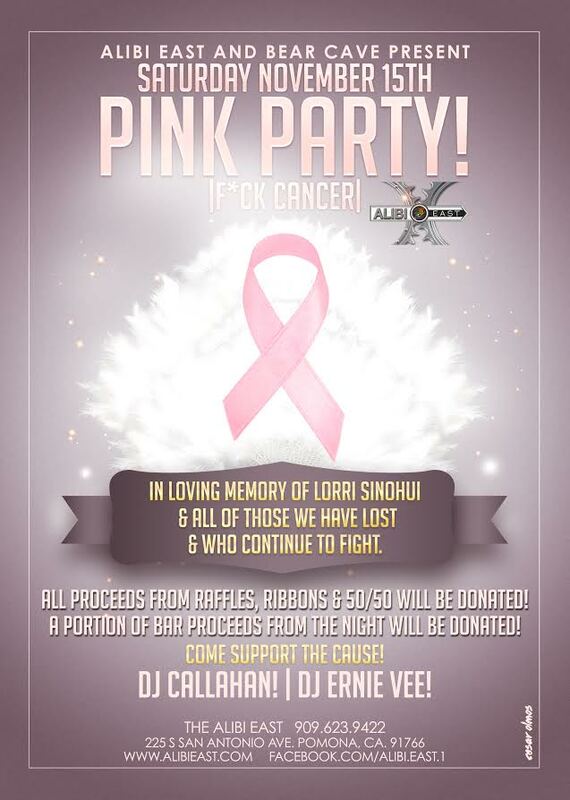 WE WILL BE DONATING A PORTION OF THE BAR PROCEEDS! AND 100% OF THE PROCEEDS FROM THE RIBBONS, RAFFLES & 50/50 WILL BE DONATED! IT'S TIME TO GIVE BACK! COME OUT AND SUPPORT THIS CAUSE & LET'S HELP FIND A CURE! YOU DRINK & PARTY....WE DONATE!